The fourth film in director Michael Bay's global blockbuster franchise. With help from a new cast of humans, Optimus Prime and the Autobots must rise to meet their most fearsome challenge yet. Special gift set includes a highly detailed collectible figure of Optimus Prime riding Grimlock. 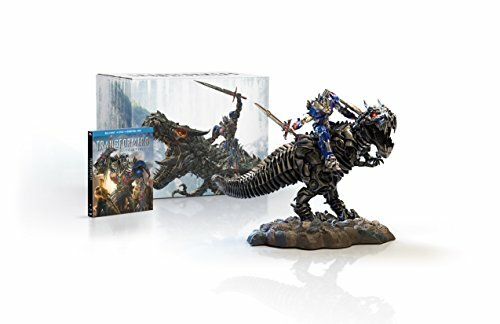 Transformers: Age of Extinction Blu-Ray Combo Pack gift set includes a highly detailed collectible figure of Optimus Prime riding Grimlock. The Optimus and Grimlock figures have been crafted utilizing the very same digital models that brought the characters to life in the film. Every sculptural detail of Optimus and Grimlock has been perfectly captured and enhanced with hand-painting, from Optimus' flame-detailed chest and forearms to Grimlock's fiery, glowing eyes. Together, Optimus and Grimlock stand over 7.25 inches tall (display base height included), and Grimlock stretches approx. 9 inches from his toothy maw to tail tip. 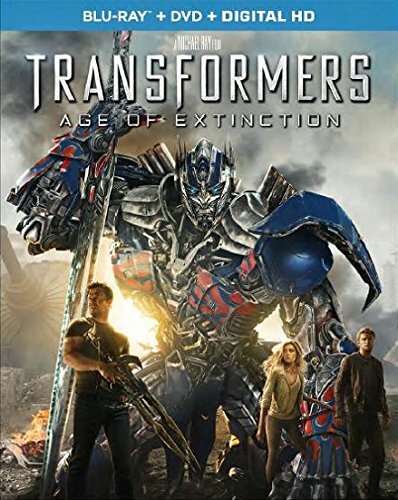 The Transfomers: Age of Extinction Optimus and Grimlock figure is a must-have for any Transformers fan, and is available only at Amazon.